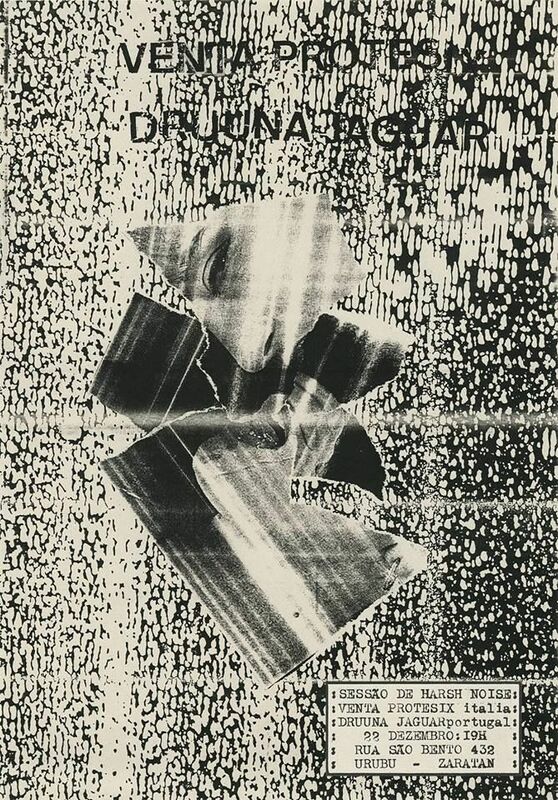 Druuna Jaguar | Experimental guitar for noise heads. Esperam-se 'drones' obscuros e paredes de ruído, tudo servido sob a mais pura desconstrução experimental. Anti-música bem temperada para ouvidos fortes. VENTA PROTESIX | Meaning absolutely nothing, the name Venta Protesix refers to the digital noise project of Italo Belladonna based in Salerno area since 2007. Since he's always been against using any instruments or tools other than a laptop, the most fitting definition that has been forged for his music is Laptop Micro-Autism. URUBU | It was created in Lisbon in 2013. It aims to be a gateway towards experimental electronics, noise and other sound/visual objects. Dedicated to publishing cassette tapes and zines, URUBU sends out its signals in search of unidentified political and aesthetic life forms to come.